Love the romantic essence of Paris? 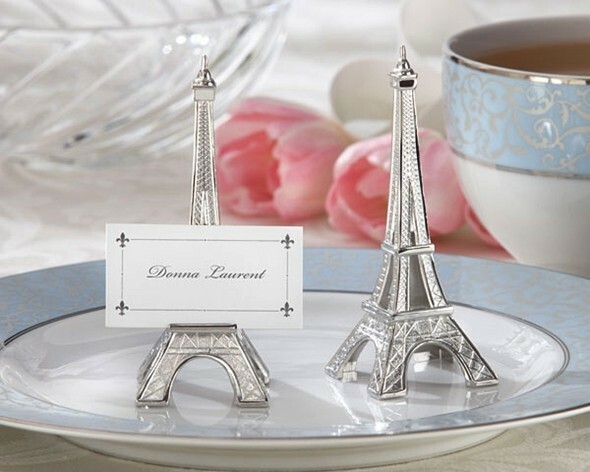 These placecard holders created with fantastic lasting quality chrome are models of the pride of Paris. Pictured coordinating (blank) placecards are included. PLEASE NOTE: Sold as a set of four (4) and prices quoted below are per set. "I really appreciated your contacting me so quickly after I sent an email to you. The bridal favors I ordered arrived and I couldn't be more happy with them or with your company." Katy N.